Audiobook Narrator Superstar Sunday!! Come see us at Booth 184! We’re gearing up for an exciting, fun-filled weekend that you won’t want to miss!! 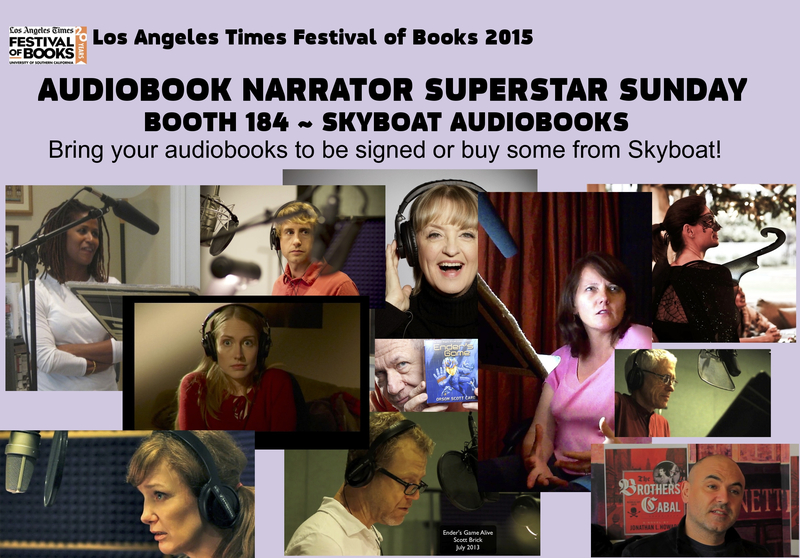 The award winning production & publishing company, Skyboat Media will be at the LA Times Festival of Books this coming weekend at Booth 184. 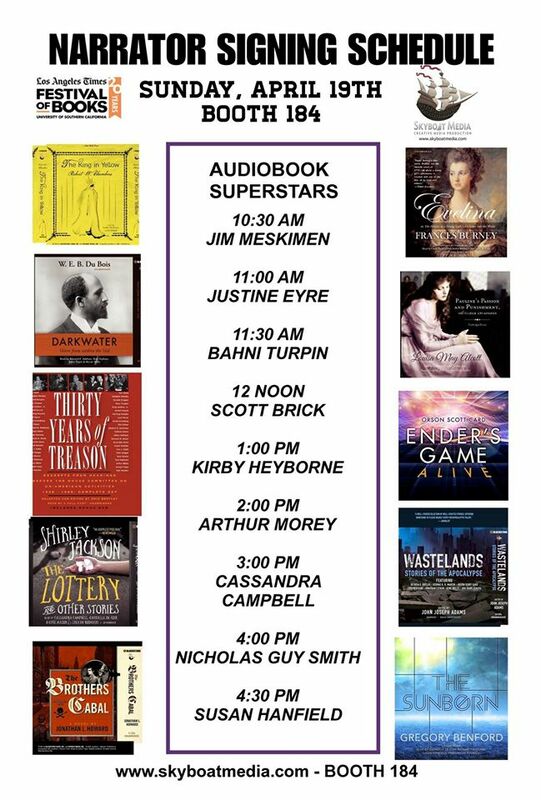 On Sunday, April 19th from 10am – 5pm, Skyboat has put together an ah-mazing line-up of Audiobook Narrators available to chat, sign your audiobooks, take photos, answer questions – all of the above! I’m excited to be a part of it. Bring your audiobooks, or buy some from Skyboat Media (they’ll have lots of goodies on hand) and let the signing begin!! This is going to be such fun and what’s even more awesome – the event is free!! Here is the narrator signing schedule! I’ll be there at 4:30pm on Sunday. Can’t wait to see you! This entry was posted in Audio Books, Narration, News, Voice and tagged Susan Hanfield; Skyboat Media; LA Times Festival of Books; Audiobooks;. Bookmark the permalink. ← LAST FLIGHT OF THE MERCENARY a comedy of science & love – takes off this Sunday!